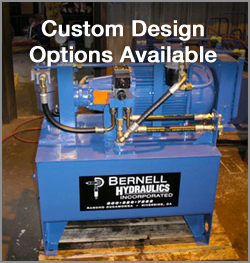 Each Bernell Hydraulics location is staffed by experts in the hydraulic parts and service industry. We’ve been in business since 1977, and many of our sales staff and technicians have decades of experience under their belts. When you have a problem with your hydraulic cylinders, you can come to us for troubleshooting assistance. For example, if your cylinder has ballooned or warped, this is could be due to insufficient cylinder wall thickness, excess operational pressure, or a combination of the two. We can run diagnostics to help you figure out what the cause of the problem is and then recommend a different cylinder that can take the extra pressure if needed. Sometimes you just can’t get exactly what you want from the factory. Luckily, we can machine custom parts for you. Just tell us your specs and our expert technicians will set about machining your custom hydraulic cylinders Long Beach CA in our shop. We can even install them in your equipment at your job site if needed.